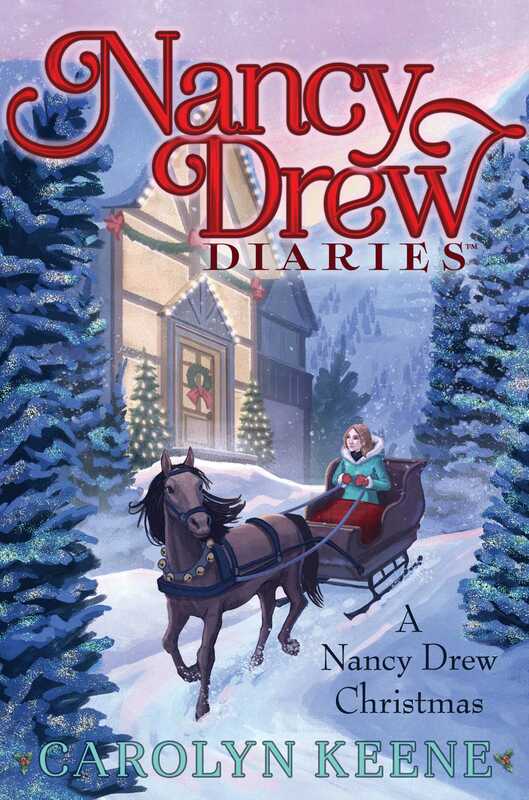 Nancy finds herself a Christmas mystery in this super special eighteenth book of the Nancy Drew Diaries series, a fresh approach to the classic mystery series. Nancy is spending her winter vacation at the most beautiful ski resort in Montana. Everything looks perfect, from the spectacular mountain views to the cozy rooms inside complete with fireplaces and holiday decorations. Unfortunately, not all is as jolly as it seems. Things started to go wrong on her very first day; she hit a bad patch of ice on a run down the slopes and broke her leg in a couple of different places. Then a doctor decided she needed a giant cast and lots of bed rest. It’s been a week of unfortunate events for rest the resort too; there was a sabotaged opening dinner, multiple hotel room break-ins, and a dangerous trap was set for the star chef. And if she thought things couldn’t get any worse, a giant storm is heading her way and may just snow everyone in for days. Trapped in a hotel with someone bent on destruction? Cast or no cast, you know this sleuth is on the case. It’s almost Christmas and both guests and staff are starting to panic. With all the odds stacked against her, can Nancy solve these crimes in time and save the holiday season? Or is this one Yuletide she’ll wish to forget?